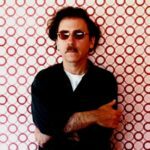 As part of the Mission Creek Festival, FilmScene hosted a special event in their Wednesday night “Late Shift at the Grindhouse” series. Late every Wednesday night, this series screens old cheesy horror movies, B-films, and campy cult classics. This week’s screening was made special by having Lisa Jane Presky, who had a minor role in the film, introduce KISS Meets the Phantom of the Park. 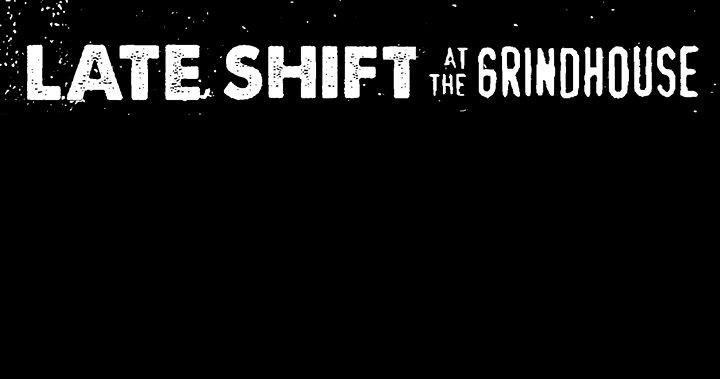 Since its creation over a year ago, the “Late Shift at the Grindhouse” series has become a staple of FilmScene’s programming. The series has slowly grown a dedicated and consistent fan base that turns out every week to see some of the worst movies to ever grace the silver screen. The theater opened at 10pm, and began with a half an hour montage of old pre-movie theater commercials and trailers. Some trailers were for clearly fake movies, Like Shriek of the Easter Beast, while others were of movies that were somehow actually made, like Ilsa, Harem Keeper of the Oil Shiek. They also included some trailers for films that would later be shown at FilmScene, and overall it was the most entertaining pre-movie roll I’ve ever seen. After the trailers, the curators of the series had their weekly prize drawings for those who purchased tickets. Previous pre-movie rolls, old DVDs, and posters from cult classics were given away. I was even lucky enough to win a copy of Blood Trails, not to be confused with Blood Trials, which has apparently been previously screened there. Finally, the weekly “punishment prize” was distributed, as some poor unfortunate sap was stuck with a brand new copy of Agent Cody Banks, starring the legendary Frankie Muniz. Lisa Jane Persky, whose photoshow X-Offenders will be on display as a part of Mission Creek, gave a brief introduction to the film. She began by apologizing for it, and saying it was by far the worst thing she’s ever been a part of. This, of course, was met with cheers and applause from the racous audience. She offered to answer any questions about the filming of the movie, but also warned that she probably had more questions than anyone else. 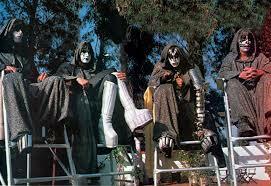 She also told of a few awkward stories of meeting the members of KISS, and how for years after this film, no one who worked for them was allowed to mention it in front of them. After the introduction, the lights went down and the film began. From the opening sequence, it was easy to tell what kind of movie this was going to be. Images of the members of KISS were super imposed over shots of an amusement park, supposedly to make them look larger than life. “I Wanna Rock n’ Roll All Night” cranked through the speakers, and the audience roared with laughter. Normally, I hate almost any interaction or feedback from an audience in a movie theater, but I could definitely make an exception for movies like this. It was clear that this movie was going to be cheesy, campy, and generally crappy, and that the audience was going to love it. 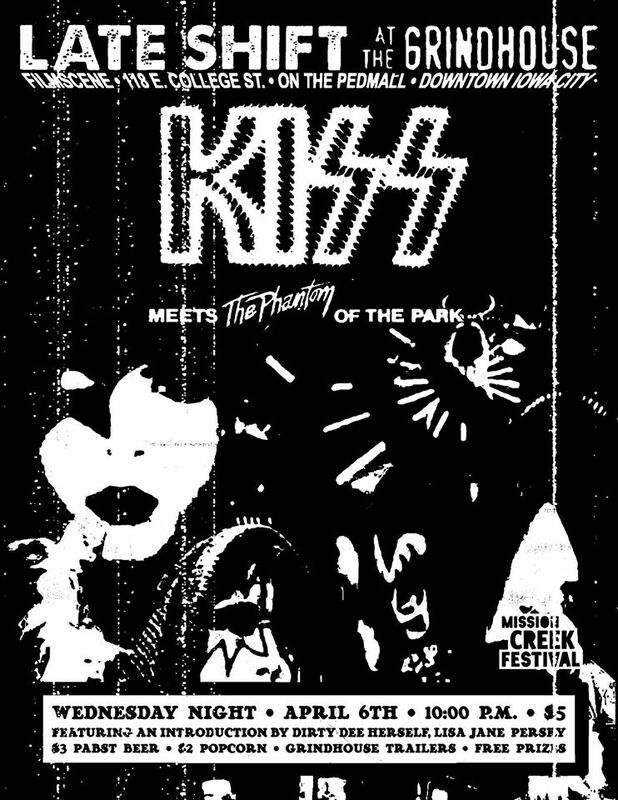 The film’s plot is convoluted and generally nonsensical, but from what I could gather it told the story of a young woman who, with the help of KISS, tries to free her boyfriend from the control of an evil scientist/amusement park developer who plans on starting a riot by cloning the members of KISS. It’s a strange mix of Jurrasic Park, Phantom of the Opera, and a live convert video. Of course, KISS decides to keep kayfabe in this movie and retain their alter-ego identities as some sort of superhumans powered by magical talisman. Gene Simmons has super human strength and can spit fire, Ace Frehley can teleport, Paul Stanley has some sort of lazer…vision..powers, and Peter Criss just kind of makes cat puns. As you can guess, this movie is total crap. But it’s a fun kind of crap, especially when seen with the right audience, in the right mood, with the right amount of booze in them. 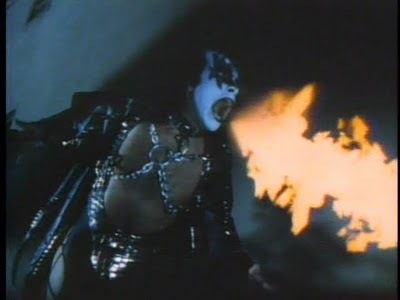 The special effects are atrocious and laughable, the performance of the KISS members is pathetic, and the soundtrack is actually pretty rocking despite being completely out of synch with the emotional tone of the scenes. 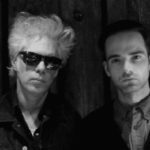 If crappy movies are your thing, then KISS Meets the Phantom of the Park is definitely one to check out. 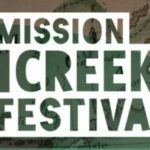 Click here to check out the rest of the lineup for the Mission Creek Festival.